Everyone loves chocolate. But not everyone loves the sugar rush, cloying sweetness, and headaches that can come with conventional chocolate treats like cookies, candy bars, and milkshakes. Lucky for you, I’ve found a load of chocolate recipes that are completely Paleo-friendly: no grains, dairy, or refined sugars! You can have your chocolate and eat it, too. 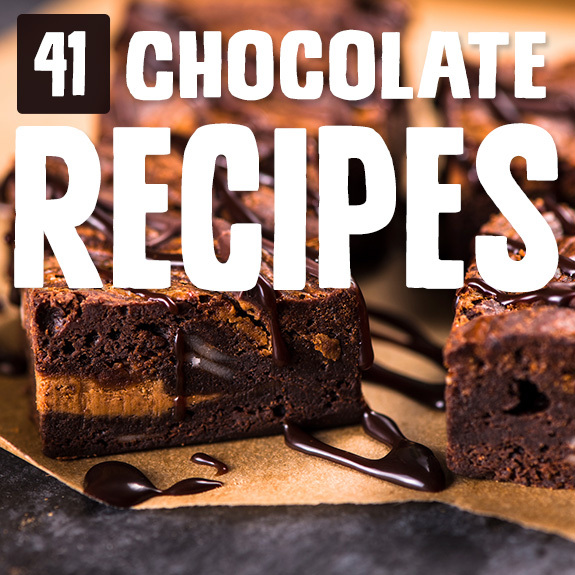 Check out these recipes for breads, milkshakes, cakes, candies, bars, and other treats to help you get your chocolate fix without causing damage to your body. These easy cookies have only three ingredients! Can you believe it? You better. Coconut cream, dark chocolate chips, and chopped pecans (or another nut of your choice) mix up into an easy truffle or cookie that doesn’t need baking. Perfect for hot summer days! Just like the kind you get in restaurants only without any harmful ingredients. You’ll love watching the flow of chocolate lava ooze out of these cakes, which makes it an experience as well as a dessert. These chocolate Paleo protein bars are made from unflavored hemp protein powder, ground flax meal, cacao powder, nut butter, cacao nibs, and pitted Medjool dates. 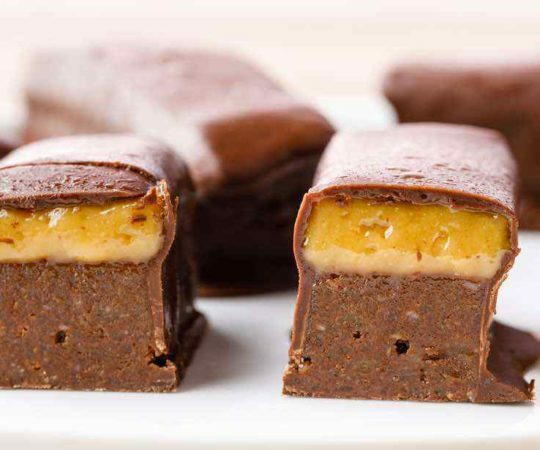 They’re super fudgy, and you’ll feel like you’re eating dessert even though it’s a powerful fuel snack! These muffins are super protein-dense with almond or cashew butter, and are packed with healthy fats from avocado and coconut milk. They would make the perfect post-workout recovery snack that’s also a sweet treat with pitted dates, cocoa powder, and chocolate chips. While this recipe titles itself as a smoothie, it’s really much more like an amazingly rich and delicious milkshake, a result of the texture of frozen banana and ice. Raw cacao powder and collagen peptides ensure that this milkshake is as nutritious as it is delicious. Man, is this cake fancy. But it’s so easy to make, and it also happens to have two cups of grated zucchini in it, so it’s healthy, right? Right? Well, it’s still a treat, but it’s a treat that at least boasts some nutritional content as well as the amazing flavors of maple, chocolate, and coffee. Why just have chocolate chip cookies when you can have DOUBLE chocolate chip cookies? These are rich and fudgy with coconut or maple sugar, blanched almond flour, chocolate chips, vanilla, and cocoa powder. 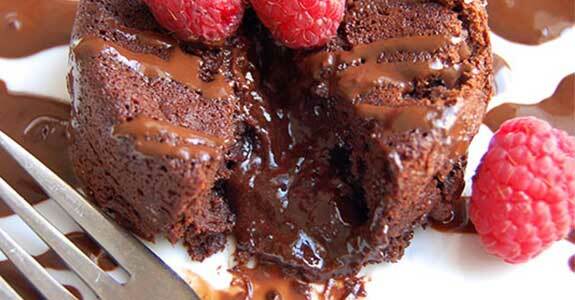 These are super chocolatey, so indulge mindfully! These brownie bites are made with whole pitted dates (Medjool is my favorite variety because they’re soft and taste like caramel), raw whole almonds, chia seeds, dark cocoa powder, and vanilla extract. 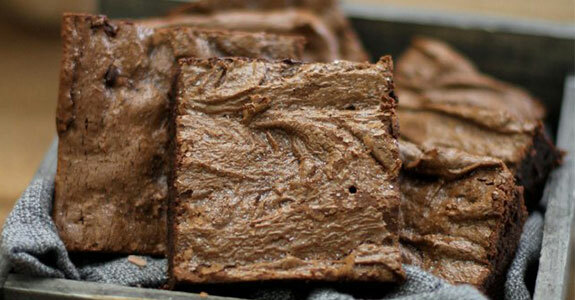 They taste like a brownie but are naturally sweet and loaded with protein. This ketogenic mug cake is made from almond and coconut flours with orange peel and dark chocolate for a combination of rich/chocolatey and bright/citrusy flavors bursting in every bite. 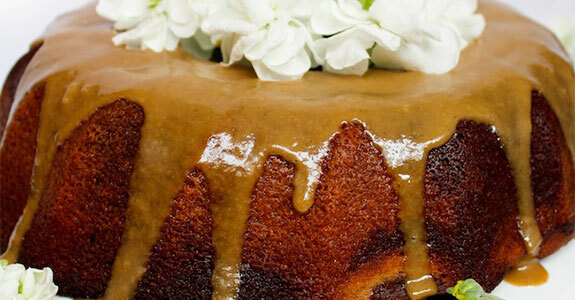 Top it with whipped coconut cream for an extra-decadent treat. These cookies have bright lime and sweet chocolate flavors, for a crazy-unique combination you’re going to love. They’re sweetened with coconut palm sugar and honey for moisture without an overpowering honey flavor. Don’t forget the chocolate chips! These pudding pops have a creamy, dense chocolate bite that isn’t icy like juice-based pops. That’s thanks to the avocado and canned coconut milk (better than the carton), which are high enough in fat to create a creamy texture without ice crystals. Here’s a slightly different approach—this time without avocado. These pops are made from unsweetened canned coconut milk, cocoa powder, stevia, and agave nectar. I recommend using maple syrup instead of agave, as agave is highly processed. This chia pudding has a lovely floral flavor from dried culinary lavender and vanilla extract. Chia pudding has a consistency similar to tapioca pudding, and this one is creamy with deliciously sweet Medjool dates and coconut milk (or another milk of your choice). These cookies have a two-tone effect resulting from being half chocolate, half vanilla. In every cookie! They’re made from thick almond butter, coconut sugar, egg, vanilla extract, chocolate chips, and cocoa powder for a fudgy and chewy mouthfeel. It’s funny to me how we’re in a place with food where, if it’s unadulterated by other unusual ingredients, a chocolate mousse made with avocado can still be called “classic.” Ha! 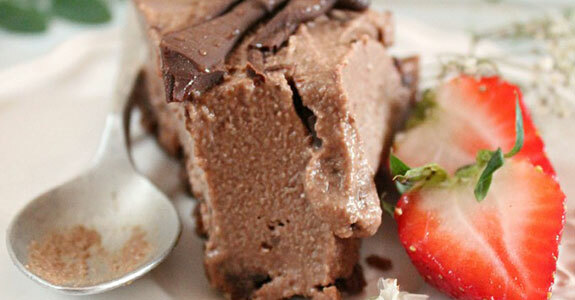 But that’s really what this mousse is, with its rich chocolate flavor and velvety texture. These pudding cups are so chocolatey from the cocoa powder and cacao nibs, and they have a sweet flavor from a combination of honey and maple syrup (so neither flavor overwhelms). The chia seeds thicken the pudding as well as adding Omega 3s and healthy proteins. If what you want is a classic and tasty chocolate chip cookie, but without the excessive amounts of sugar, refined flours, and hydrogenated soybean oil, you’ve come to the right place. These cookies are made with almond butter, coconut palm sugar, and allergy-free chocolate chips. These date balls remind me of the coconut date rolls you can see in the bulk aisles of conventional supermarkets. Those aren’t nearly as tasty, and they typically have other undesirable ingredients added to them like sugars and preservatives. 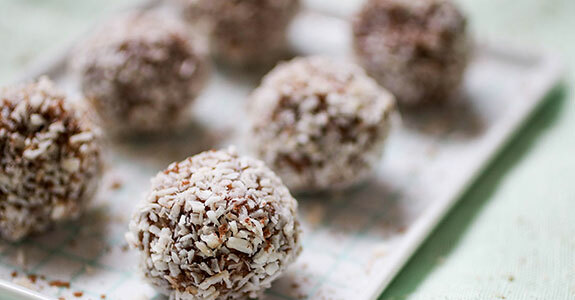 Make your own with raw almonds, cacao powder, and shredded coconut. This grain-free granola is made from flaked and shredded coconut, sliced almonds, chocolate chips, maple syrup, and a coating of delicious cocoa powder. The flavors are chocolatey without being overly sweet or rich—you could still enjoy this for breakfast without feeling weighed down. I love fruit with my chocolate, and raspberry is a great choice, because it has a bit of a bright tang to it that really works to balance out the rich sweetness of the chocolate in these fudgy, delicious brownies. They’re made with almond and coconut flours and sweetened with maple and honey. Turmeric is a great anti-inflammatory root that does a world of good inside your body. But have you ever thought about combining it with chocolate to counteract the slight bitterness? This chocolate turmeric smoothie has chia seeds, avocado, SunButter, and coconut milk. Get lost in chocolate heaven when you bake up this chocolate cake filled and covered with so much chocolate it should be illegal. The perfect ending to any Paleo meal, and the answer to a sweet tooth craving. This French silk pie has a no-bake crust made from almond flour and maple syrup, and a chocolate filling with coconut milk, agar agar (to thicken the filling into a custard), coconut sugar, baking chocolate, and vanilla extract. You won’t even miss the dairy one bit. Just take a look at the chocolate stuffed into that cookie. Just look at it! All that ooey-gooeyness and you know these have to be good. They’re made from almond meal, almond butter, and chia seeds with palm shortening to keep them good and chewy. These treats have a base made with pecans, coconut flour, shredded coconut, dates, and ghee; a sweet cashew butter and coconut milk caramel; and a chocolate pecan butter layer with cacao paste drizzle across the top. 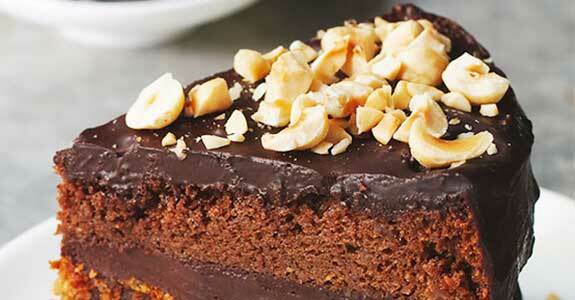 They’re deeply chocolatey, fudgy, and sweet. These brownies are made with almond butter, coconut sugar, vanilla, and olive oil for a sophisticated brownie flavor. Cocoa powder, chocolate chips, and Himalayan sea salt take the flavor completely over the top with an unmatched elegance. You have to try them! This isn’t truly ice cream, as it’s made from frozen bananas. But that’s half of the ingredients right there! This two-ingredient recipe needs no additional sweetener or texturing agent to become creamy and smooth, sweet, delicious chocolate ice cream. This dessert is awesome. First of all, it’s made on the grill. Second, it’s Paleo and only gently sweetened. Third, it combines chocolate and cherries, which might be one of my all-time favorite flavor combinations. So fire up your grill and get ready to put this on the table! These amazing cookies have no flour of any kind, and they don’t even have any butter added. They get all their fudgy gooeyness from the homemade hazelnut butter, so get those nuts toasting! These cookies taste like Nutella but without the headache. 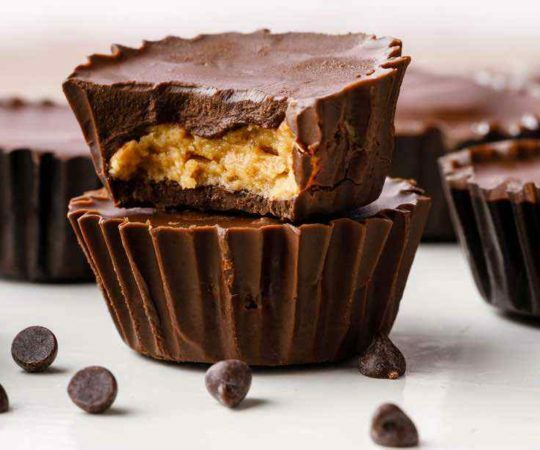 These tasty little cups are like a fruity, elegant version of peanut butter cups. 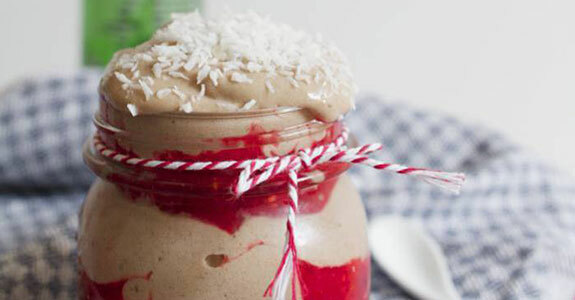 Of course, there’s no peanut butter, but a cherry cream instead! The cherry cream is made from cherries and cashew/almond butters with maple syrup and vanilla extract. So, so yummy. Forget a step and go with these no-bake chocolate cookies. 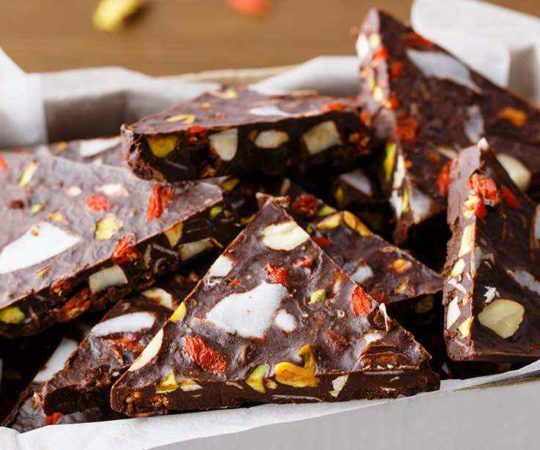 There’s so much chocolate flavor you may have trouble stopping your intake, but there’s also healthy ingredients that will make you feel satisfied so you don’t binge on them. Some people love chia pudding. Other people, well, let’s just say I have a hard time with the texture of soaked chia seeds. But did you know you can blend that chia goodness up and change the texture completely? 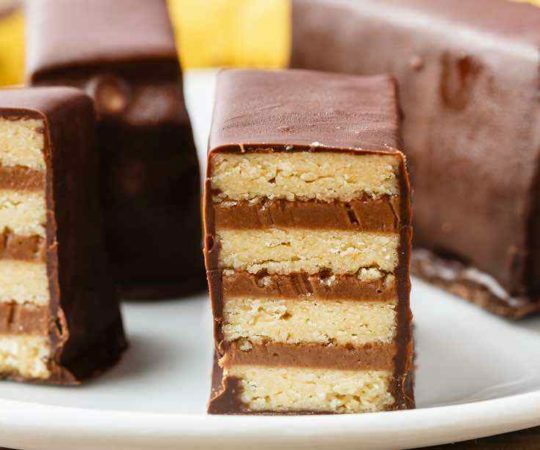 If you have texture issues like me, try this delicious version. 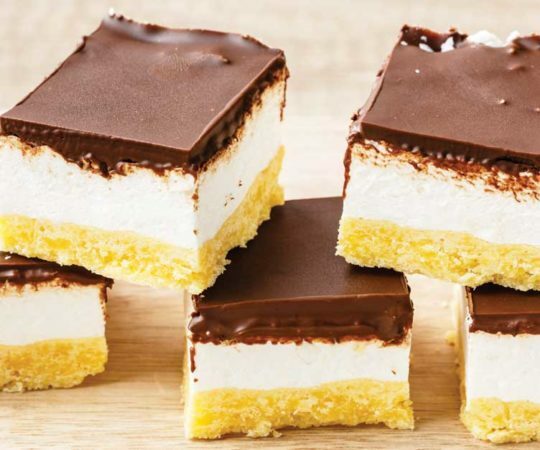 If you love those sticky, chocolatey, coconutty Mounds bars that you can’t eat anymore thanks to the corn syrup and other nastiness, this is the recipe for you. 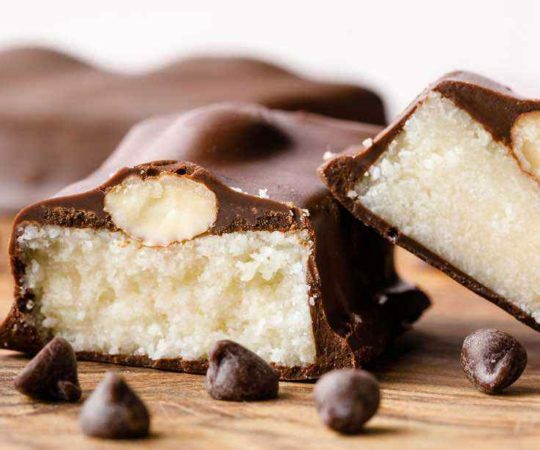 These bars are made with coconut cream, shredded coconut, honey, and a homemade chocolate coating. This isn’t your mama’s chocolate milk from the squeeze bottle of chocolate corn syrup. 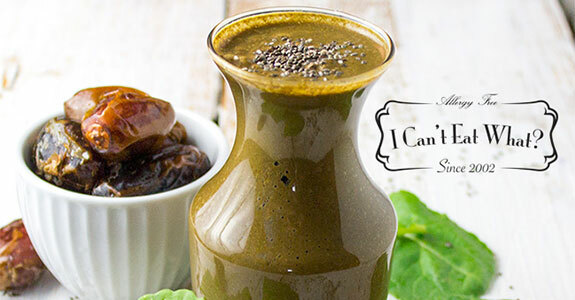 Nope—this is a nutrient-dense, dairy-free, spinach-laced and chia-loaded chocolate milk you can enjoy any day without feeling guilty or giving yourself a stomachache. This fudge looks like it’s made just of sugar and oils, but it’s not! It’s a healthy fudge made from almond flour, coconut flour, dark cocoa powder, coconut palm sugar, protein powder (optional if you don’t have one), chocolate chips, maple, and a nut butter of your choice. These healthy snack squares are made with cashews, figs, shredded coconut, tahini, bananas, chia, sunflower seeds, and sesame seeds for a nutrient-packed treat. Best of all, they’re covered in delicious dark chocolate. I love making these truffles as gifts around the holidays because they’re easy, and everyone appreciates a treat that won’t send them into a sugar coma. You can replace the heavy whipping cream with coconut cream and they’ll work just as well. While this recipe officially calls for peanut butter, peanuts aren’t Paleo—so use a nut butter of your choice. Either almond or cashew would be fabulously decadent! Nicecream is the result of blended frozen bananas, and raw cacao powder, frozen raspberries, and orange juice add flavor variations to die for. These yummy muffins make a great breakfast on the go with coconut flour, cacao powder, ground cinnamon and ginger, grated zucchini, arrowroot starch, raw honey, and coconut oil. I’d pair them with a green smoothie to make sure you’re getting those nutrients in the morning! 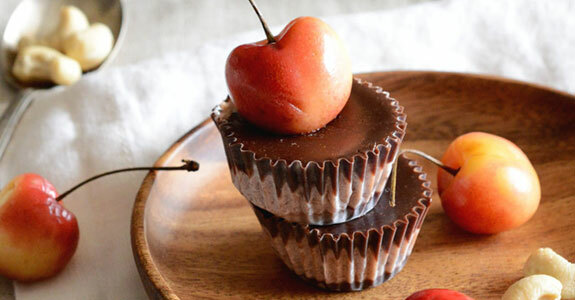 Made with pumpkin seed meal, these chocolate cupcakes are unique and nut-free. 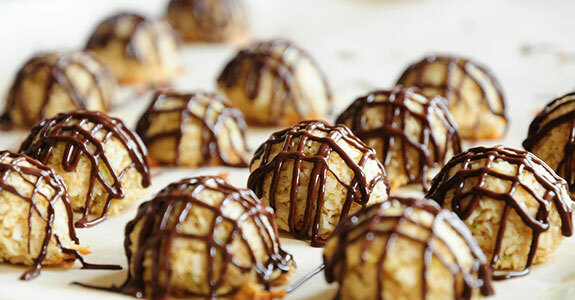 They’re sweetened with honey and topped with an amazing chocolate coconut ganache! Yum. These would be perfect for sending to school with kids for birthdays, as they’re both Paleo and nut-free. Skillet cookies are an interesting kind of magic. You mix them up and make them in a cast iron skillet, which gives them a sort of crispy-chewy crust with a deep-dish soft middle. This one is made with almond flour, almond butter, coconut sugar, arrowroot flour, coconut oil, chocolate chips, and additional melted chocolate for drizzling over the top. This raw cheesecake doesn’t have any cheese in it at all. In fact, it’s totally dairy-free! Instead, it has a walnut and date crust and a filling made from creamed cashews, coconut milk, coconut oil, and agave syrup (I would choose to sweeten with maple syrup instead). I know what you’re thinking. What the heck is a raweo? These cookies are a Paleo and raw version of Oreos. Don’t expect them to taste like the cookies you grew up with, because these are a different animal. 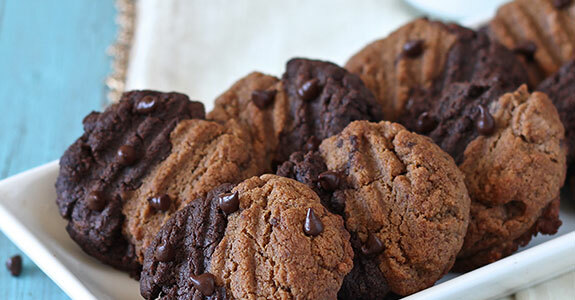 These have a chocolate chewy cookie sandwiched around creamy almond butter. These Paleo pancakes are made with banana and eggs, like many grain-free varieties. But these also have cocoa powder, chocolate chunks, dried cherries, and an amazingly silky maple-based chocolate sauce with maple syrup, cocoa powder, and coconut oil.